YUMA PROVING GROUND, Ariz.-- If anyone knows every square inch of U.S. Army Yuma Proving Ground (YPG), it is Ruben Hernandez. 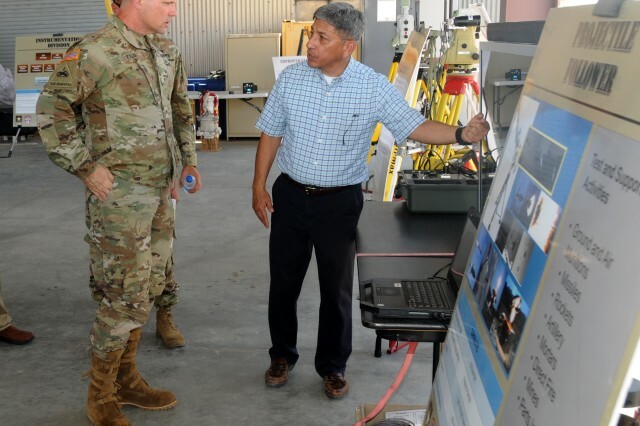 For 35 years, the Yuma native has worked at YPG as a geodetic surveyor, a computer and information technology specialist, and now in the Engineering Support Branch of the Instrumentation Division. Aside from his decades of experience here, Hernandez's job requires him to understand the totality of YPG: Geodetics, or geodesy, is the earth science of accurately measuring and understanding Earth's geometric shape, orientation in space, and gravitational field. Hernandez studies and speaks of the field of study with great reverence. "Everything that we do is tied into geodesy. Understanding where we are, what's below us, and the things that might affect us celestially-- the stars, the moon, and the sun." YPG's Engineering Support Branch needs this understanding to characterize every centimeter of YPG's vast range. "Our role and responsibility is dealing with all the geospatial data for everything that goes on downrange, and how it gets related to supporting the test mission and customers." YPG often boasts of its large land area, capable of testing scores of different items every day without a conflict for space. Yet most of these tests require the most accurate measurements possible. "We have to locate calibration targets, cameras, radars, optical tracking systems, transponders: anything that needs to be located as part of a test. We measure very precisely the elevation, angle, and distance to that point." A geodesist uses a variety of tools to accomplish this, including the global positioning satellite (GPS) system that underwent developmental testing at YPG from the mid-1970s until the early-1990s. "GPS is a mainstay to our technology as far as doing geodetic surveying at amazing accuracies. We can locate virtually anything at YPG relative to our network of geodetic reference station within plus or minus a centimeter in real-time." The advent of GPS resulted in enormous efficiency gains in society, not least to geodesists. Hernandez recalls the early days of his tenure here when GPS was not commonly available. "It took days to collect data and post-process the data to generate centimeter or higher accuracies relative to control anywhere on the range." As a Yuma native whose father worked for the proving ground, Hernandez was familiar with YPG for most of his life. Ruben Hernandez, Senior, a former Marine who also spent over 27 years as a Military Policeman in the National Guard, was for years a weapons operator here before becoming a range scheduler. As a child, young Ruben saw public static displays at Cox Field and was captivated by the occasional public equipment demonstrations downrange that YPG held in those years. "I knew this was where I wanted to work, mostly through my dad. I was always intrigued when he talked about work." It eventually came to pass, but not immediately. He graduated from Kofa High School and attended Arizona Western College and Arizona State University with the idea of pursuing civil engineering. He worked for private sector firms and then for MCAS-Yuma and the Bureau of Reclamation before coming to YPG in 1983. "I had some surveying experience coming into this job, both in school and working with the Bureau of Reclamation. I was interested in that, but when I was exposed to geodetics here, I became very, very interested in that-- I couldn't get enough of it." The practical applications of geodetics are still growing, particularly as things like autonomous vehicles leave the realm of science fiction and enter into daily life. 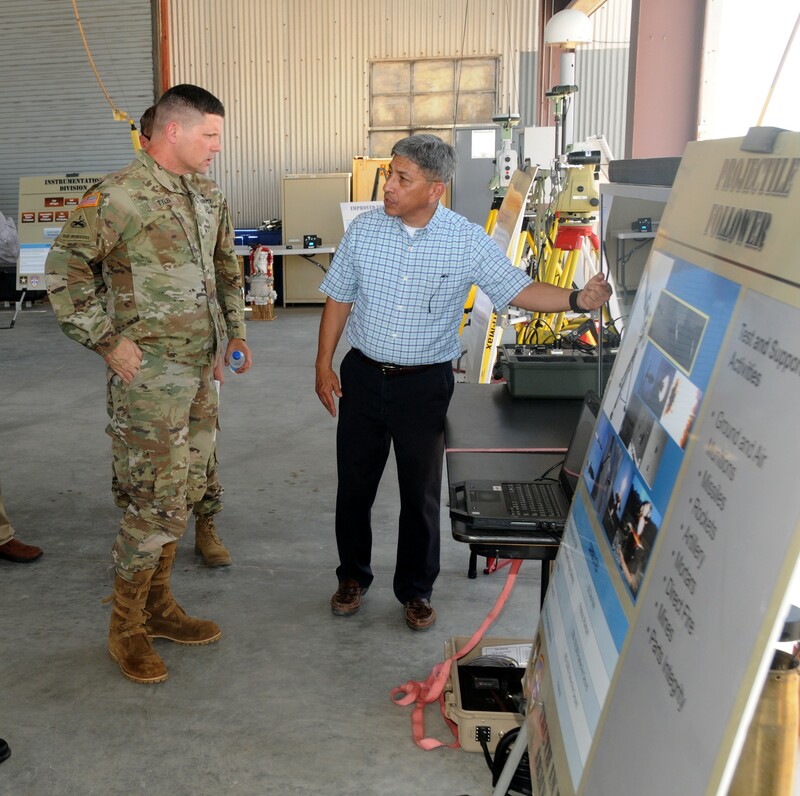 Hernandez believes that this technology will also be used in future military vehicles that will likely undergo test across YPG's 200 miles of road courses. "To support autonomous testing we need to know within these corridors where everything is precisely." After 35 years on the job here, Hernandez sometimes contemplates retirement, but has no intention of leaving in the near future. He says working with YPG's other professionals toward a great purpose is his biggest joy here. "I still enjoy what I'm doing. I always ask people who are considering retiring, 'are you still having fun?' After all, the work we do is important--it's all about supporting the Soldiers, Marines, Seamen, and Air Men."